Peachy Keen Stamp Challenge | Which~Craft 2 Create? I recently discovered a fun stamp company called Peachy Keen. Rather than flowers my husband surprised me with a set of stamps awhile back. This weekend I finally got a chance to pull them out and give them a try! I decided to try my hand at their stamp challenge for the month as well. 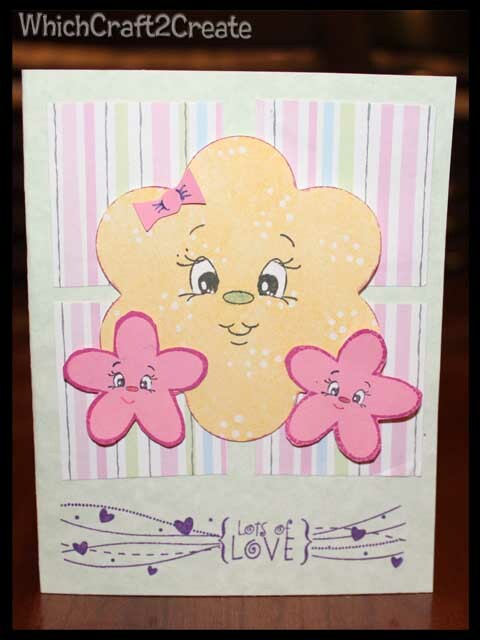 This entry was posted in Cards, Crafts and tagged cards, flowers, peachy Keen. Bookmark the permalink. great take on the sketch, too cute! thanks for playing with us at PKS! Your card is so super adorable! I love your take on the sketch challenge too!!! Thanks for sharing and playing along with us over at PKS! Hope you will join us for the next challenge!